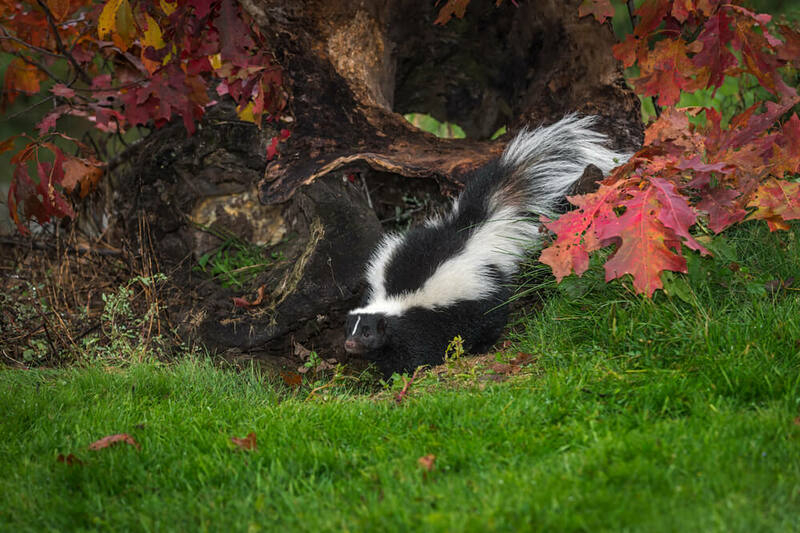 When left alone, skunks usually just keep to themselves; however, when bothered by another animal, like your dog, or if its mating season, the skunk with unleash its secret weapon, its sprayer. As you all know the odor out of a skunk’s sprayer is unbearable! Why are we experiencing more and more skunk invasions? Well, that’s simple, because of more and more residential areas being built, skunks have been losing their habitat for years and years now. They honestly have nowhere else to go; that’s why they mostly reside in residential areas. Skunks live off and eat anything and everything; whatever they find, whether it’s another dead animal, trash, food scraps, or whatever they stumble upon, they will eat it. When we get a call from a worried client, we typically find that a skunk has resided under a porch, deck, shed, garage, basement, drainage system, or an addition; it’s rare to find a skunk inside someone’s home, although it has happened! One of the most common signs indicating a skunk is on your property, is when you find little tiny holes around your grass or in your mulch beds. 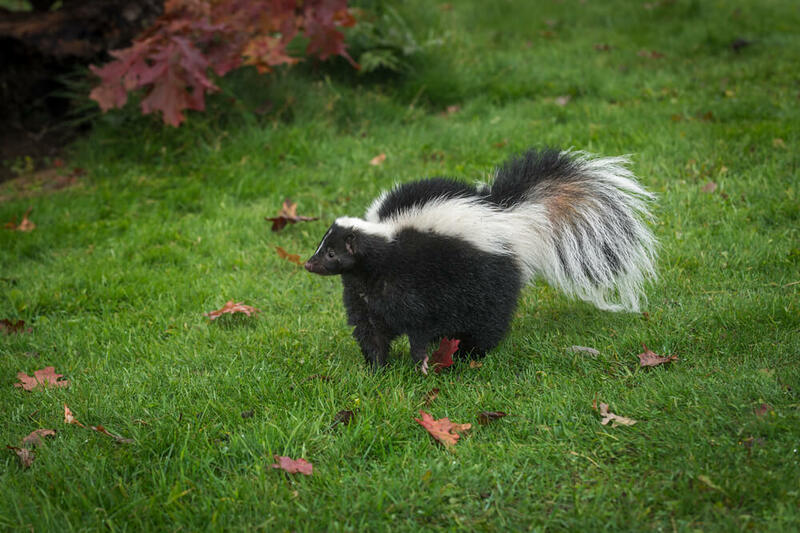 The question on all of your minds is probably related to how we get the skunk off your property without scaring it and without it spraying its disgusting odor everywhere. Here at Bay State Wildlife, we have adapted a new way to get rid of your current skunk problem. The new and approved system is often referred to as habitat modification. We will completely remove the current “nest” the skunk has made; solely capturing skunks is a short term solution, if you don’t remove the habitat, they will most definitely return! Once we remove the habitat, we can completely seal off all other potential habitats, leaving no space for future skunks. For more information on our skunk services, please give Bay State Wildlife a call at 781-830-6080. We offer 24 hour emergency animal removal services. We humanely remove all types of animals from homes all over Massachusetts. Some of the animals we have removed include: bats, raccoons, squirrels and skunks. © 2018 Bay State Wildlife – All Rights Reserved.